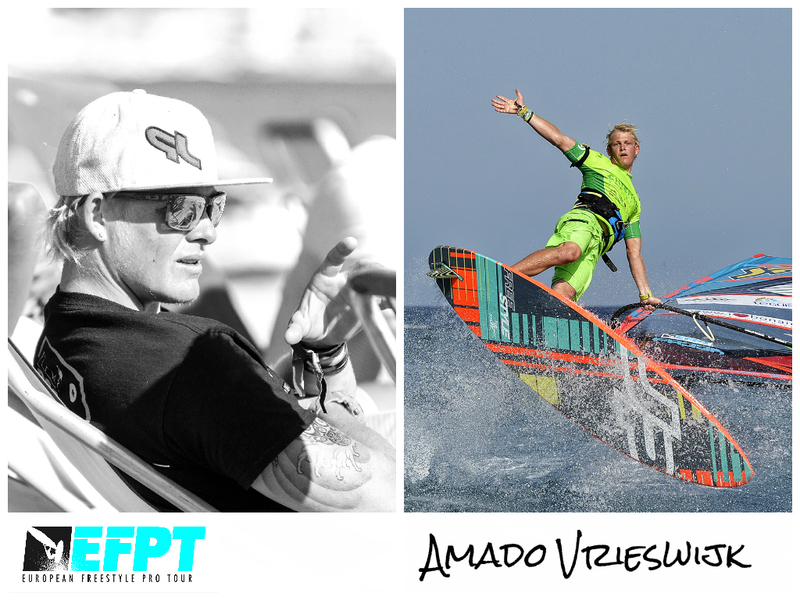 After Adam Sims (Patrik/Sailloft) from the UK in 2012, Vladimir Yakovlev (JP/Neilpryde) from Russia in 2013 and Adam Gavriel (Patrik/Sailloft) from Israel in 2014 we are already looking forwards to who will be YOUR EFPT Sailor of the Year 2015. 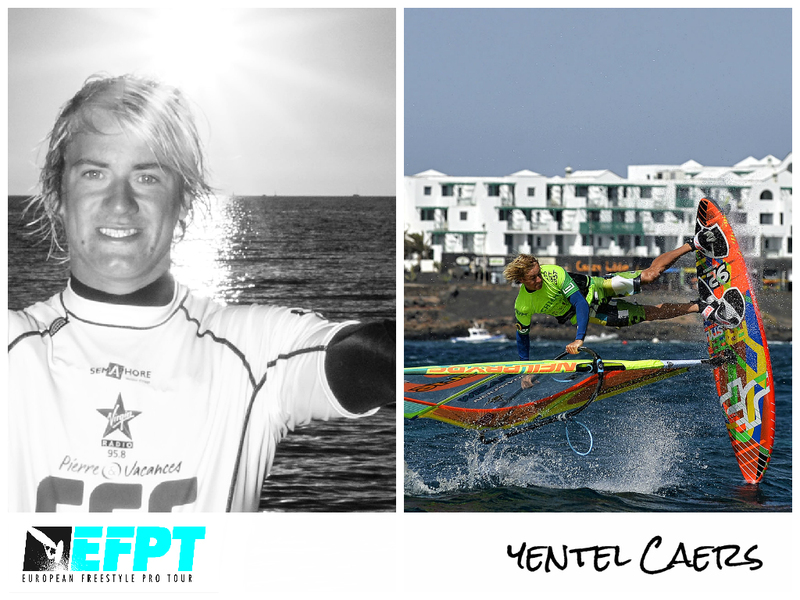 The EFPT Rookie of the Year 2015 has already been selected and will be announced together with the result for the EFPT Sailor of the Year in the first week of January 2016! Scroll down to learn more about the nominees and to place your vote! 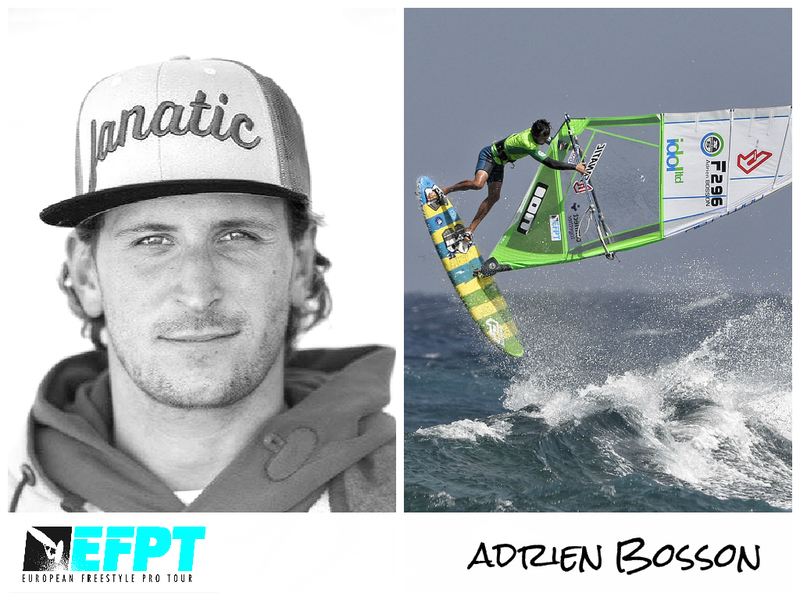 From France: Adrien Bosson (North/Fanatic) and Antony Ruenes. Adrien had his first whole tour this year and travelled to all the events where he ended up in the top five positions each time. He finished his season with the third place overall and proved his potential of being a title contender for the upcoming years. 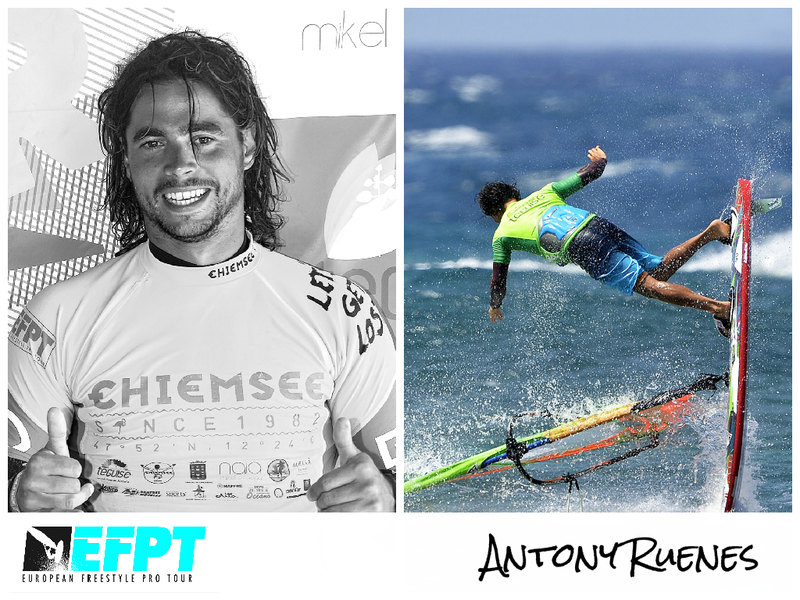 Antony had his comeback at the European Freestyle Pro Tour with a big bang at the EFPT event in Lanzarote. Combining wave maneuvres and complex freestyle tricks with a lot of power led to the event win and to an outstanding performance, showing what freestyle windsurfing nowadays is all about. From Belgium: Steven Van Broeckhoven (JP/Neilpryde) and Yentel Caers (JP/Neilpryde). 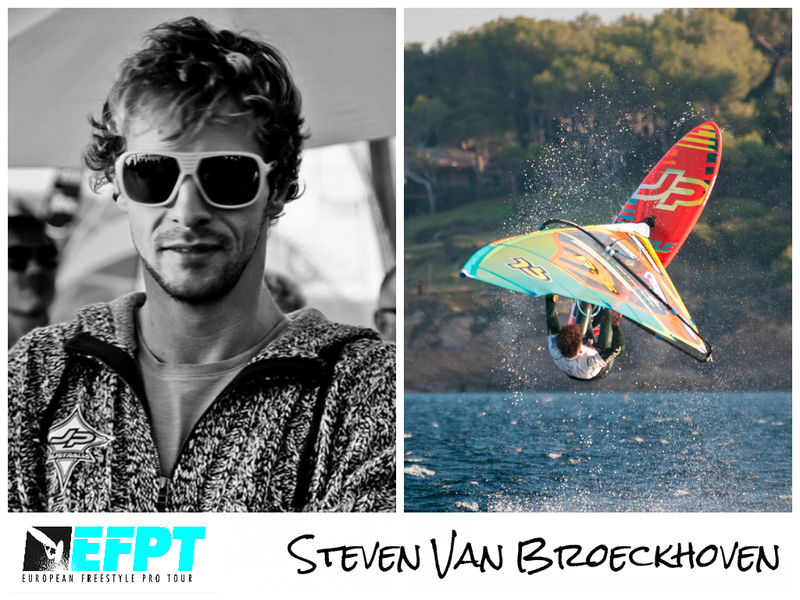 Steven has been European Freestyle Champion several times, but had to skip some tour-stops this year due to an injury. After his recovery he made it straight to fifth place at the DAM-X event, won the final event in France and ended up Vice European Freestyle Pro Tour Champion 2015. Yentel attended the full tour and pulled top six results at every stop. The young Belgian rider showed his potential in the different competing conditions and is keen to fight for the overall title in the upcoming years. From Bonaire: Amado Vrieswijk (JP/Severne). Amado is only 19 years old but not new to the European or the World tour. 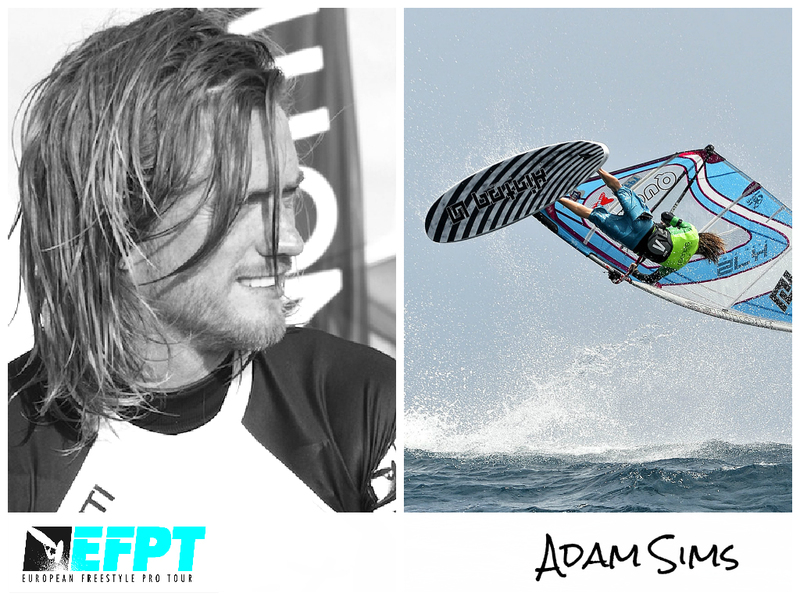 When we asked him about his goals for 2015 he stated that he wanted to end up top five in both the EFPT and the PWA. One year later he is on top of the EFPT, being the 2015 European Freestyle Champion and third overall in the world ranking. From Aruba: Sarah-Quita Offringa (Starboard/Neilpryde). 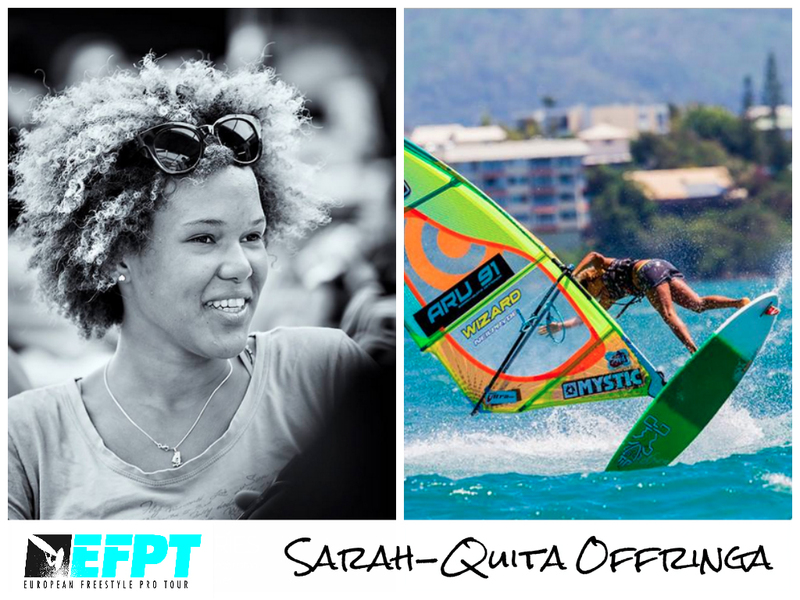 Sarah-Quita is one of the girls that has been pushing windsurfing the most. Being multiple women freestyle world-champion and world-champion in slalom, she is now also attacking in the wave discipline. Sarah-Quita is an inspiration in and off the water and won the first ever women European Freestyle Champion title at the DAM-X event earlier this year. From the UK: Adam Sims (Patrik/Sailloft). Once again the British sailor made it into the nominations for the Sailor of the Year. Following the tour for many years now Adam turned into a routined competition sailor which he proved with some great results this year and an 11th place overall. Even more outstanding were his performances in the tow-in discipline that he keeps pushing a lot. He made it into every tow-in final this year and pulled the EFPT Tow-in Overall Champion title of 2015. 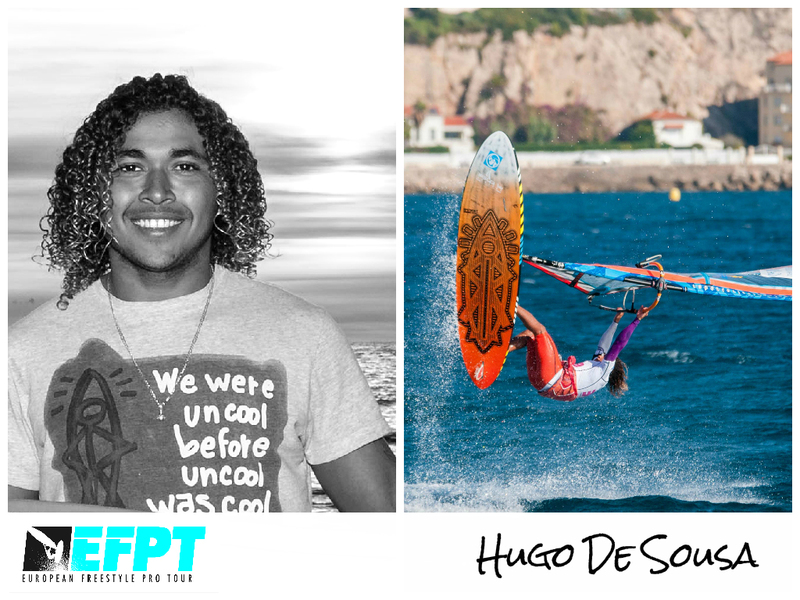 From Brasil: Hugo de Sousa (RRD/RRD). 19 years old Hugo is definitely one of the most impressive riders on tour. Following the tour around the whole season he showed his powerful windsurfing skills in different conditions and was also personality-wise a great addition to every event.